EE Labels the first company in the Netherlands to be granted a sustainable textile production certificate. There are quite a few well-known certifications and accreditations in the textile industry. Most focus on sustainable raw materials or products. With the certificate for Sustainable Textile Production (STeP), OEKO-TEXÂ® has created a standard that focuses on the production of textiles and clothing. 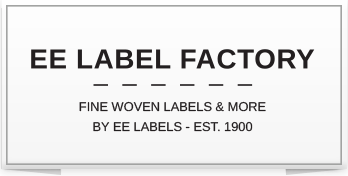 EE Labels has always seen the value and importance of sustainability and corporate social responsibility. Our use of Newlife™ yarns and OEKO-TEX® Standaard 100 yarns is an important example of that. Our looms also run on 100% green energy. By signing of the Sustainable Clothing and Textiles Coventant, we, together with other companies, have taken steps towards sustainability within the textile industry. But for the most sustainable label manufacturer in Europe, that's not enough. That's why, in 2016, we started preparing our application for the OEKO-TEX® SteP – certificate. That means that, despite how sustainable our company already is, we're setting the bar even higher. We have worked hard on a brand new management system that places an even stronger emphasis on quality and the environment. We're looking at the environmental impact of all our business activities, trying to reduce that burden. By increasing quality, we're reducing waste and unnecessary use of raw materials and energy. But we're also paying attention to the sustainable employability of our staff, so they can be well trained and make vital contributions to the manufacture of our products. In January 2017, we were inspected against the strict standards for the STeP certificate. We earned a high score in Level 2, making us the first manufacturing company in the Netherlands that meets this standard, something we're very proud of.